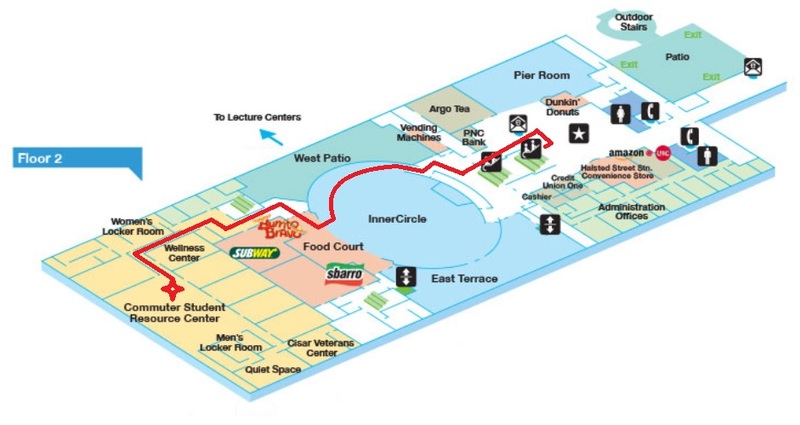 Commuter and Off-Campus Programs is located in the Commuter Student Resource Center on the second floor of Student Center East (750 South Halsted). Enter through the doors to the right of Circle Burger, off the Inner Circle. Go through the Wellness Center to access the Commuter Student Resource Center. *Coffee/tea and weekly locker rental will not be available.